Brice Ballard began his career as an Actuary in 1996 and has been with Physicians Mutual since 2002. His current responsibilities include management of the Life, Annuity and Long-Term Care product lines. His experience over the past 18 years includes pricing, product design, financial analysis and marketing of a variety of Life and Health insurance products. He is currently a Fellow of the Society of Actuaries and a member of the American Academy of Actuaries. 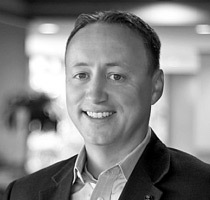 Brice has served on various insurance industry committees and SOA exam committees. In addition he has written articles and presented at industry conferences on a variety of regulatory, operational and product development topics. Brice is a past president of the Nebraska Actuaries Club and has been on the S.A.V.E. board of directors since 2009.